Located in the cultural district of San José, this newly restored Victorian mansion offers 31 rooms individually decorated and furnished with exquisite taste, guaranteed to please even the most demanding traveler. Rather than impersonal numbers, every room is lovingly named after a species of flower native to Costa Rica. 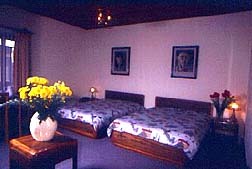 Original artwork adorns the walls of each room. Warm, rich woods and soft colors provide an atmosphere for complete relaxation, and large comfortable beds guarantee a good night's sleep. 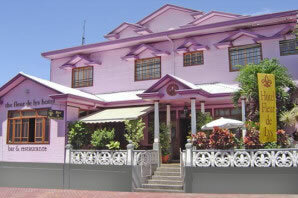 The Fleur de Lys's elegant restaurant is well known and respected for its New Costa Rican Cuisine. In addition to thr superb dinner menu, there is a complimentary breakfast for each of the guests. The cosmopolitan bar is a great place for sharing special romantic moments, as well as meeting Costa Ricans and international travelers. Every Tuesday and Friday night, guests enjoy a Happy Hour from 5:00 p.m. to 7:00 p.m. The front desk clerks will gladly assist you in confirming flights or tours, as well as providing information on additional points of interest within Costa Rica. "I could not have been more pleased with the quality of the accommodation ... My highest praise, however, is reserved for the service. I have stayed at very reputable hotels throughout the United States, but the staff at the Fleur de Lys was far superior to these "five star" hotels." Rates include taxes and breakfast. There is no additional charge for children under 12 (max 2) when sharing Suite or Master Suite with their parents.